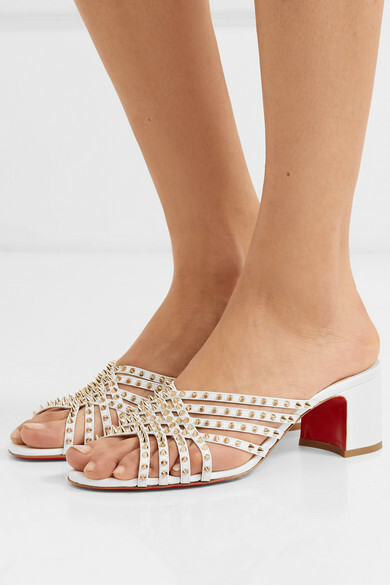 Christian Louboutin's mules are set on 55mm heels that make it easy to walk on sandy beaches (think destination weddings) or cobbled streets. 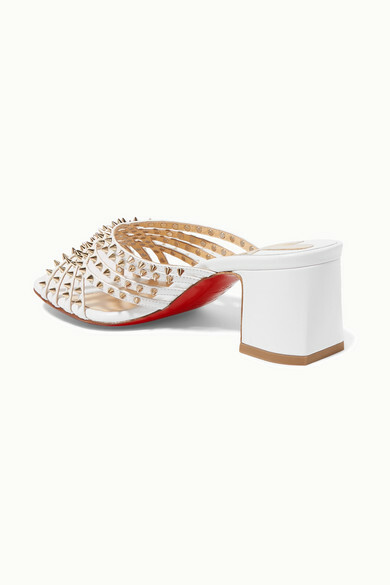 Made from white leather, they have slim crisscrossing straps decorated with the label's signature pale-gold spikes and kick up to reveal the iconic red soles. 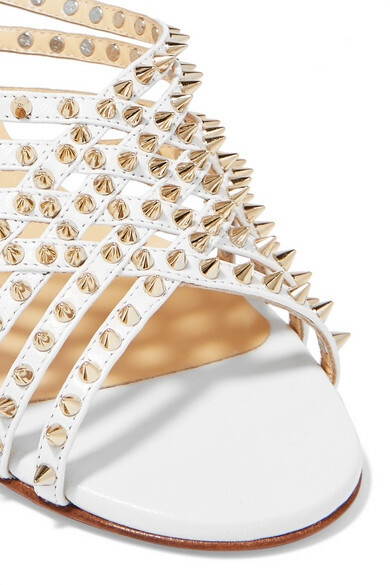 A flawless pedicure is a must, so add the designer's nail care kit to your shopping bag, too. 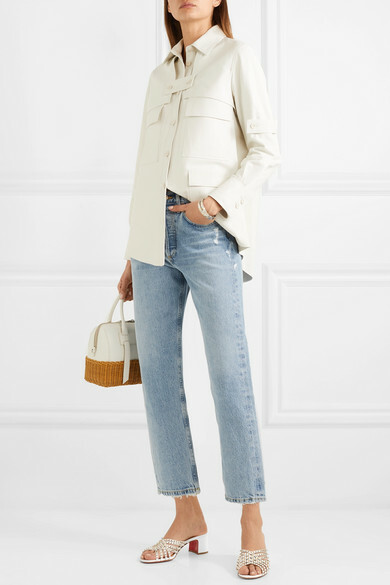 Shown here with: AGOLDE Jeans, Joseph Shirt, Miu Miu Tote, Roxanne Assoulin Bracelets.